the other day we visited good friends who we’ve not seen in months. the kids played; the mamas chatted. it’s so good to catch up, to settle in right where you left off. 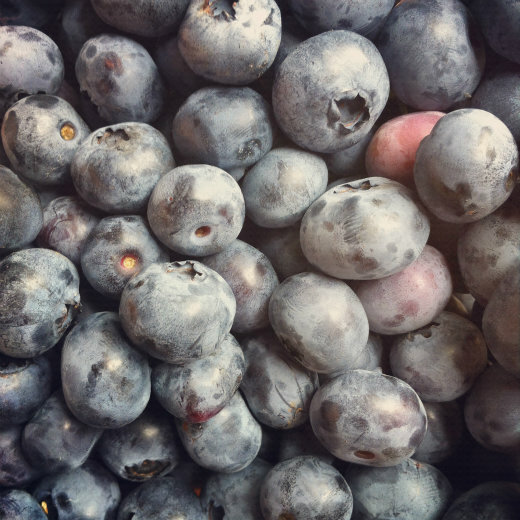 during our visit, we picked blueberries that were gorgeous and plump. they hung in clumps from the branches, beautiful clusters…hues ranging from celadon to rose to blueberry blue. we plucked them from the bush and plopped them into our bowl…or mouth. juicy and warm from the sun, just the right sweetness. 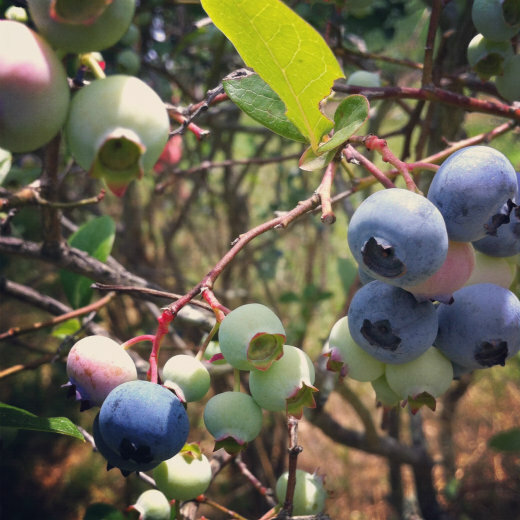 these blueberries growing in my friend’s garden…surely grown with love. delight on a summer day. the next morning was gray and rainy. 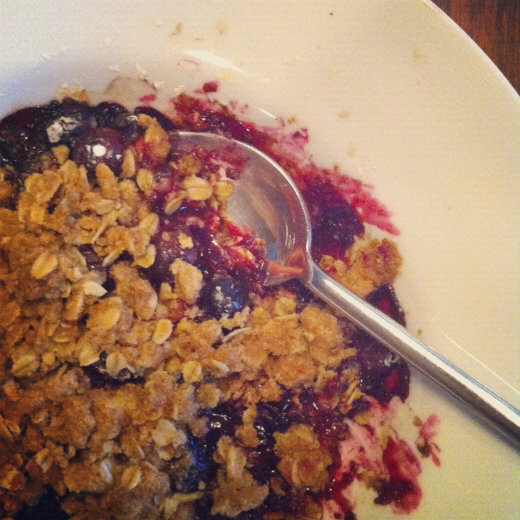 i dropped handfuls of berries into my bowl…tossed them with lemon juice…topped them with crumbled oats, flour, butter, brown sugar, cinnamon, nutmeg. i baked that bowl of delicious as the rain fell outside. then i sat and ate my blueberry breakfast bake. i sipped my tea. and i felt complete contentment. it’s mornings like this that remind me how fortunate i am to have frequent slow and easy and delicious starts to my days. i’m a lucky mama who gets to be home with her kids each and every day. i know this is a privilege, and i feel so much gratitude for the life i live. having the time to make a good homemade breakfast, having the time to sip hot tea, having the time to read aloud to or play a board game with my kids…pure delight. and this morning? more delight…blueberry muffins. You ARE blessed! That blueberry bake looks delish!! i love berry season, and thanks to you i just made the muffin recipe you shared, except with blackberries! what a wonderful batter, delicious…love! me too, i got to be a stay at home mom. seems like its a luxury for so many today. so glad you tried the recipe and so glad you liked it. it really is my favorite and only go-to. i bet it’s delicious with blackberries! And your children? VERY VERY lucky!